The world's most famous cigar brand. 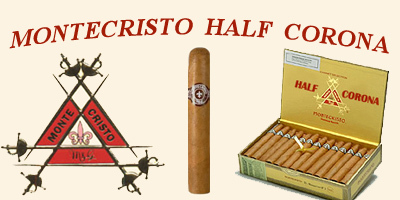 Launched in Cuba by Menendez Garcia y Cia., the Montecristo distributed in the U.S. is handmade in the Dominican Republic. It is a medium to full bodied cigar with a sweet aroma and impeccable construction. This line carries the beautiful colors of USA Connecticut shade wrappers. Our Price: - You Save $32.95!